Delphi Resort is a leading adventure, spa and food destination with a variety of accommodation options including a 4 star hotel and the Wild Atlantic Hostel. 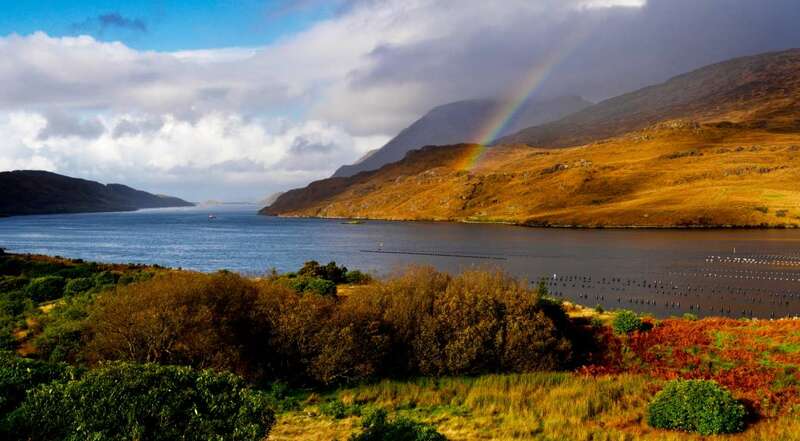 It is located next to Killary Fjord, Connemara on the Galway/Mayo border, right on Ireland’s Wild Atlantic Way. Delphi Resort is situated just 10 mins from Leenane, Connemara, 30 mins from Westport and 80 mins from Galway City. Our easily-accessible and picturesque location makes Delphi Resort the ideal destination for your next break away. Our wide range of facilities on offer include adventure activities, a dining experience in one of our two restaurants, an award winning spa, forest walks, bike rides through the grounds, and much more. With over 20 outdoor activities on offer for ages 4+, Delphi Adventure Centre, where your adventures begin! Food is central to the Delphi Resort Connemara experience. Our food menus are just as varied and full of exciting things to try. Delphi Resort is set in a beautiful location near Leenane in Connemara, County Galway, Ireland. This stunning location is a world apart and Delphi Resort is the perfect hotel for special occasions, fantastic family breaks, wellness escapes and romantic getaways. 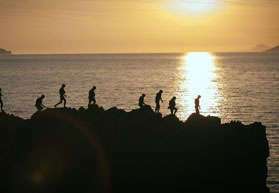 The resort is just 10 minutes from Leenane, Connemara, 30 minutes from Westport and 80 minutes from Galway City. The area contains some of the most spectacular scenery and scenic drives along the Wild Atlantic Way. This is Ireland’s leading adventure, spa and food destination, with a variety of accommodation on offer from budget to 4 star on the Wild Atlantic Way. 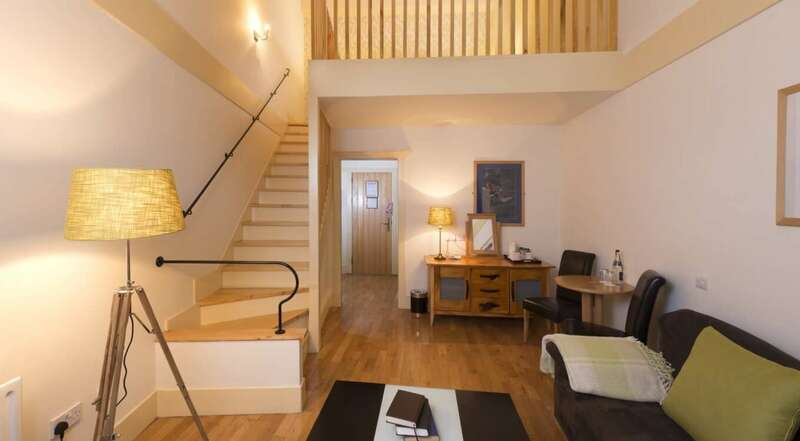 This 4 star hotel in Galway has superb rooms and suites as well as a range of accommodation options including onsite Wild Atlantic Hostel. There is also an onsite adventure centre, award-winning spa, café and an onsite restaurant. Our 4 star resort hotel Connemara is set on 300 acres of private grounds, surrounded by dramatic mountain and forest scenery. 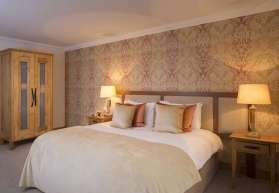 It is one of the most uniquely located 4 star hotels in Ireland, close to the Mayo border and Killary Fjord, and just 10 minutes from Leenane village, 30 minutes from Westport town and 80 minutes from Galway City. 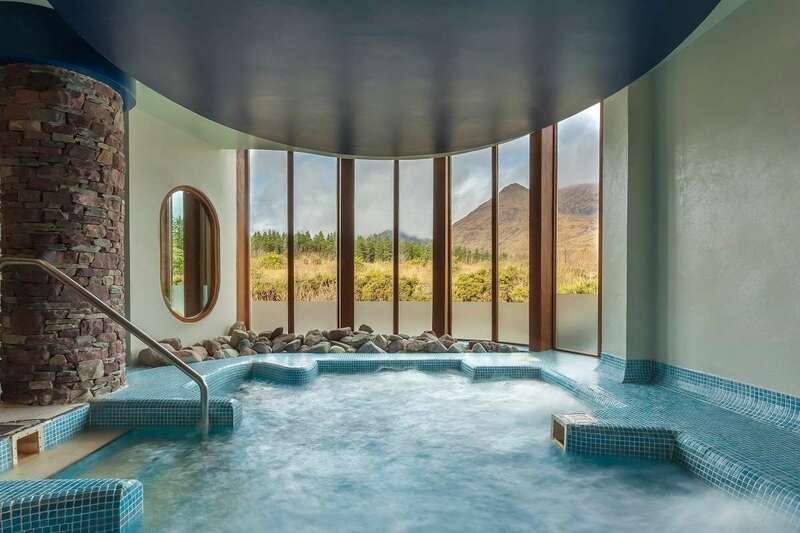 Delphi Spa is one of the most luxurious spa escapes in Ireland, set in an unrivaled backdrop of mountain scenery. The Delphi Spa features a thermal suite – Jacuzzi, steam room and sauna. Our spa offers a large range of treatments using only the finest luxury spa products such as Pevonia and Voya. 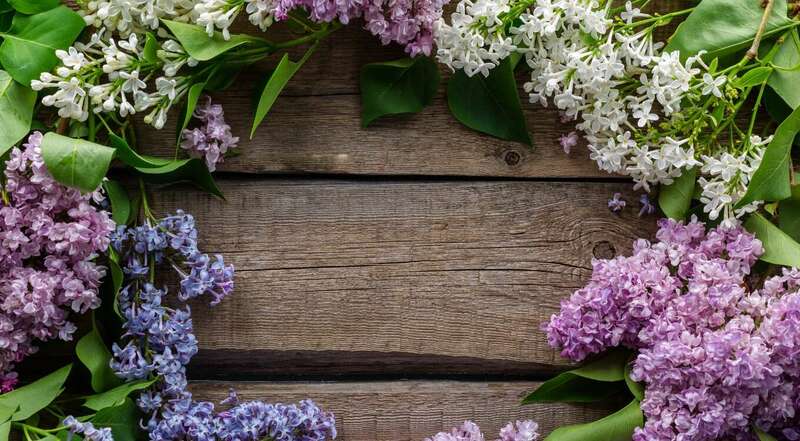 Relax, rejuvenate and unwind with a daytrip to the Delphi Spa Connemara or truly escape with a 4 star spa hotel break in Connemara, Galway. With a large range of activities in Connemara to choose from, visit Delphi Resort’s adventure centre in Leenane, Connemara and delve into the great outdoors with some fun-fuelled activities along the Wild Atlantic Way. Go coasteering in Westport, surfing in Louisburgh or brave the Go Zip Forest Park in the Delphi forest, plus more! The perfect location for adventure breaks Ireland. Delphi Adventure Resort Galway, formerly known as Delphi Mountain Resort, offers a range of outdoor activity events for kids and grown-ups! Offering Summer Camps, Kids Clubs, School Tours Connemara and Youth Group trips. Through adventure, we inspire. When you take the classroom outdoors you bring learning to life. Located in the inspiring scenery of Connemara in County Galway, we also offer Team Bonding, Team Building and Team Development exercises, such as our Team Bog Challenge and the Bushcraft Survival Challenge. Delphi Holiday Resort is one of the most popular destinations for Family Breaks in Connemara, Ireland, with so much to offer all the family. Our Galway family activity holidays offer a range of land and water based activities that are guaranteed fun for all the family, with the breathtaking Connemara landscape as your backdrop and all of Galway to explore. Choose from a wide selection of family adventure packages Galway. 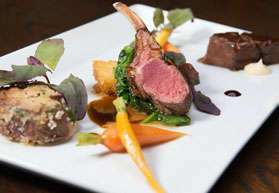 Looking for restaurants in Connemara or restaurants near Westport? Delphi Resort has an onsite restaurant near Leenane in Connemara. 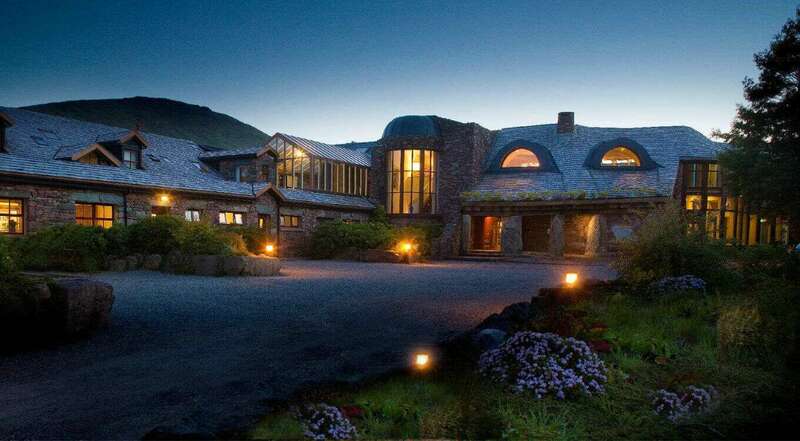 The 814 Restaurant offers a varied menu and is set in a scenic mountainous setting.